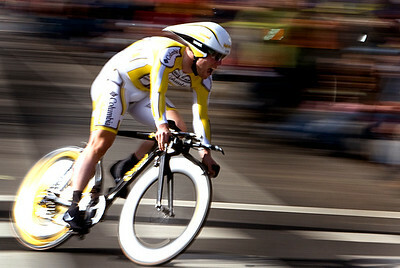 Lance Armstrong rounds the corner of 19th and N Streets in the prologue of the Amgen Tour of California in Sacramento on Saturday. Fabian Cancellara rounds the corner of 19th and N Streets, on his way to winning the the prologue of the Amgen Tour of California in Sacramento on Saturday. Alejandro Borrajo of Argentina rounds the corner of 19th and N Streets at the start of the Amgen Tour of California in Sacramento on Saturday. 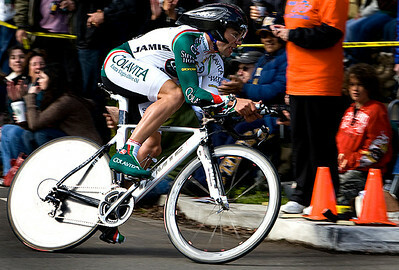 Floyd Landis takes a turn at 19th and N streets in the prologue of the Amgen Tour of California in Sacramento on Saturday, February 14, 2009. 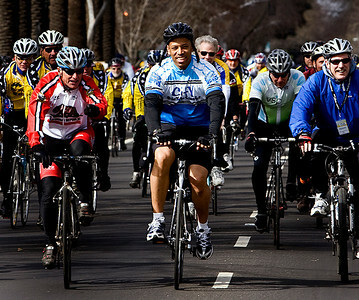 Sacramento Mayor Kevin Johnson, center, leads a community ride along the 2.4 mile course before the start of the Amgen Tour of California in Sacramento on Saturday.